Email is still an extremely useful and essential tool to stay in touch quickly and conveniently. Yet email can also get in the way of being productive. If you’re reading and responding to every message that zooms into your inbox, it can end up wasting a lot of hours in the work day. Moreover, an inbox that’s filled with old or unimportant messages creates digital clutter that distracts and prevents from maximizing your time. 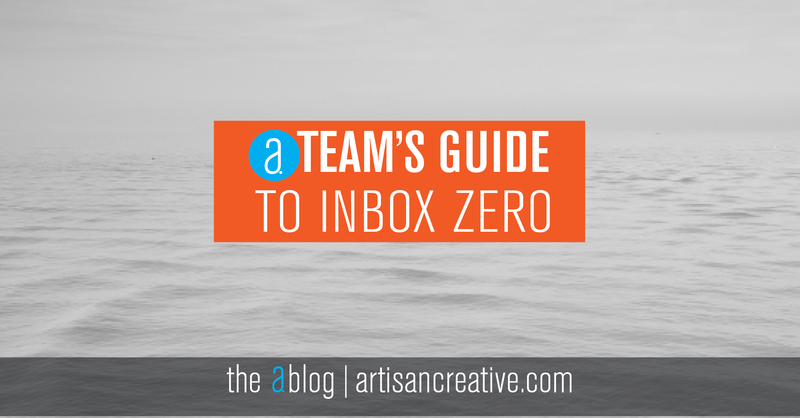 The following “inbox zero” strategies can help “detox” your inbox and restore its health and productivity levels. Set aside specific times to read and respond to email. Don’t leave your email open all day. Turn off incoming messages on your phone. Block out times during the day -- such as late morning, after lunch, and an hour before the work day ends -- to check and respond. Organize your inbox with labels and categories. Prioritize your email into various groups, use filters and file messages away once they’re read so they’re out of your inbox. If you need to refer to them later, you can always search for them. Unsubscribe. Promotional emails are just clutter! Clean it out by hitting the unsubscribe button. Does this email need action? After you read an email, decide ASAP what to do. Either delete it immediately, delegate it, reply and send, or file it away in one of your inbox categories. Not every email is a task. Only some of your emails actually need an answer or some kind of action taken. Figure out what needs a longer or more thoughtful response, then set time aside to answer later. Use filters. Most email service offers some kind of filter section to help sort incoming mail automatically. Learn how to use yours to block unwanted senders, sort or reject junk mail and spam, and sort real emails into your categories and other folders. Write a telling subject header. In your email, use the subject field to inform your receiver what your email is about. It makes it easier for you and them to organize, archive, and search for later. Delete Spam and Trash folders. Set aside time every few weeks to permanently delete spam/junk or trash messages. Don’t use email as a to-do list. There are plenty of apps, and good old fashioned pen and paper, that can help you create a great to-do list. Email is a communication service. Use it as such! Establishing a routine for email habits will help you stick to them. Got any other inbox zero suggestions? Tell us on LinkedIn!